If you are already accessing disability funded services through Montrose, then you will most likely meet the eligibility criteria for the scheme. In the lead up to the NDIS rolling out in your area, Montrose will help you with preparing for your assessment. Once the NDIS rolls out in your area, an NDIS representative will contact you about making arrangements for your planning meeting. 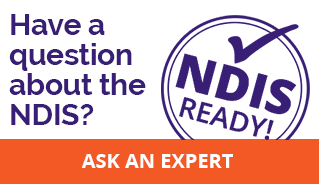 If you are not already registered with disability services, you can visit the NDIS website to find out more and register and apply for an assessment. Remember, the team at Montrose is still available to help you with advice and information. To get a head start on getting ready for the NDIS, gather the paperwork required for the access process. You can also start to think about your goals and what supports you will need to achieve them. Montrose are here to help you through the transition process.